Under the management of the renowned Canadian avalanche researcher Pascal Haegli, a study on the effectiveness of the avalanche airbag has recently been published. The study shows: an avalanche airbag halves the likelihood of death in an avalanche. To date, a number of independent studies exist on the subject of "Effectiveness of avalanche airbags". Due to their advanced age and limited number of random samples, however, it was time to have a look at their effectiveness at the current state of the art. "Professionals had a lower wrong trigger rate." The study was based on avalanche accident reports from Canada, the USA, Switzerland, France, Norway and Slovakia. Only such cases where the injured persons were involved in the avalanche itself (i.e. had been carried along in the avalanche) were considered and could actually have been buried under the avalanche (avalanches size 2 or larger). Furthermore, the examination of effectiveness only considered accidents where both airbag carriers and persons without an airbag were involved. The result of the study shows that the avalanche airbag halves the risk of death in an avalanche (from 22.2% without airbag to 11.1% with an airbag). This means that 22 out of 100 victims without an avalanche airbag would die, and 78 would survive. If all of these 100 persons were wearing an airbag, 11 of these 22 persons could be saved. Further examinations showed that approximately 20% of the airbags used could not be inflated. Out of these 20%, 78% of the cases were due to user error. Usually, the airbag could not be triggered because the trigger handle could not be pulled or the pressure cartridge was not inserted properly. Professionals such as mountain guides, in contrast, had a lower wrong trigger rate. This proves that practice with the avalanche airbag influences behavior in case of avalanche positively. When using an avalanche airbag, you need to familiarize yourself with it to ensure that it will work reliably in a serious situation. Training triggering should be performed every season. On tours, think consciously about which hand you could use to trigger it and how quickly you can reach the grip. 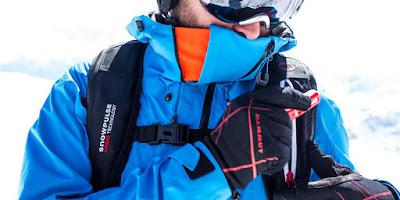 In addition to use, conscientious maintenance of the avalanche airbags is required as well. The user manual and the training videos must be observed. Even if the statements of statistic evaluations always must be considered somewhat critically, the survey of Pascal Haegeli is probably the closest possible thing to reality. The avalanche airbag can save lives, but its use must be practiced in order to be able to react properly when an accident occurs.